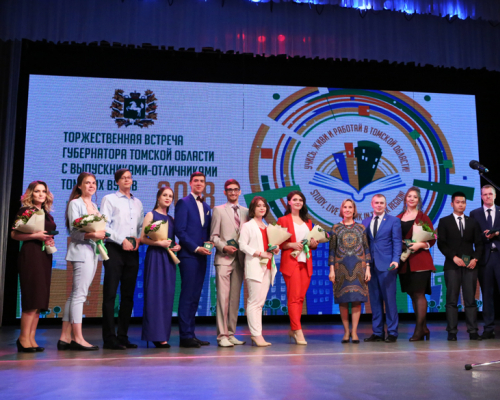 In the Tomsk Drama Theater graduates with honors (‘A’ grades) from eight Tomsk universities were awarded in the presence of regional administration, rectors of all universities, and Tomsk employers. A graduates’ ball annually takes place in Tomsk. This year graduates who are expected to earn honor degrees and who have achievements in scientific, social activities and sports were invited for the first time. 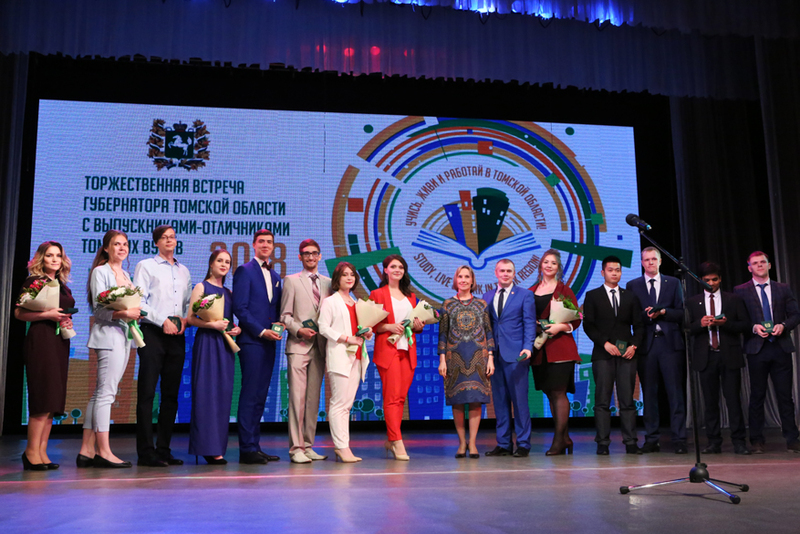 The best university graduates of 2018 received insignia on which the patroness of students Saint Tatiana is depicted. Tomsk Polytechnic University was represented by the assistant Alexey Suvorov from Division of Power and Electrical Engineering and the undergraduate student Tran Dinh Tan Xu from School of Earth Sciences & Engineering. Alexey told that his way to TPU started after the nine grade of high school when he decided to enter TPU Lyceum. During his studies and work he became the laureate of the 2017 RF Government Prize in the field of science and technology for early-career scientists, the winner of the 13th All-Russia Youth Energy Research Competition, and the laureate of the All-Russia Competition Engineer of the Year 2017. Now he graduated from a PhD program at TPU, this autumn he will defend his PhD thesis and is going to stay in Tomsk to continue his research in the field of power plants and electric power systems. ‘I believe that only metropolitan universities can rival Tomsk universities in the quality of education, prestige and innovation, and now being experienced in research activity, I can confidently say that TPU takes leading positions both in Russia and in the world,’ said Alexey Suvorov. He also noted that being at TPU he participated in scientific conferences, internships and events in many cities of Russia and abroad: Germany, Finland, the Netherlands, France, Sweden, and Estonia. 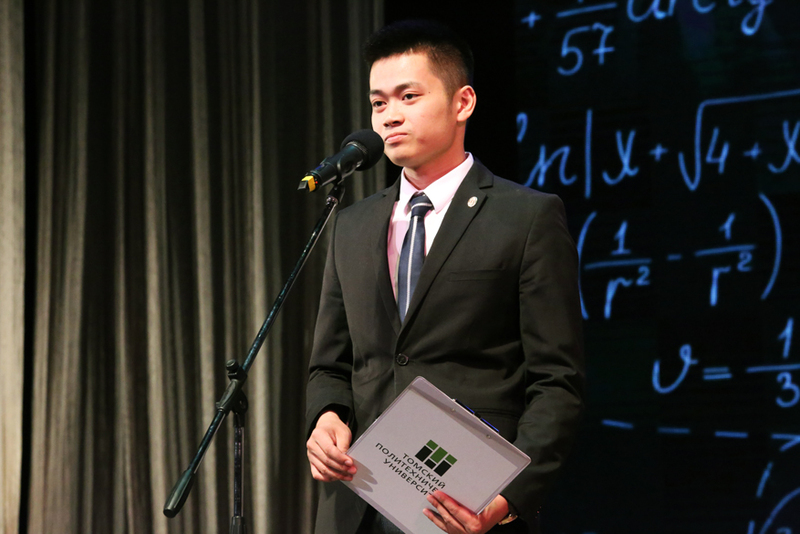 Chan Dinh Tan Sy came to Tomsk from Vietnam and recently has defended his bachelor diploma with honors on oil & gas. During his study Chan Dinh Tan Sy received six times the increased academic scholarship for achievements in study and research. 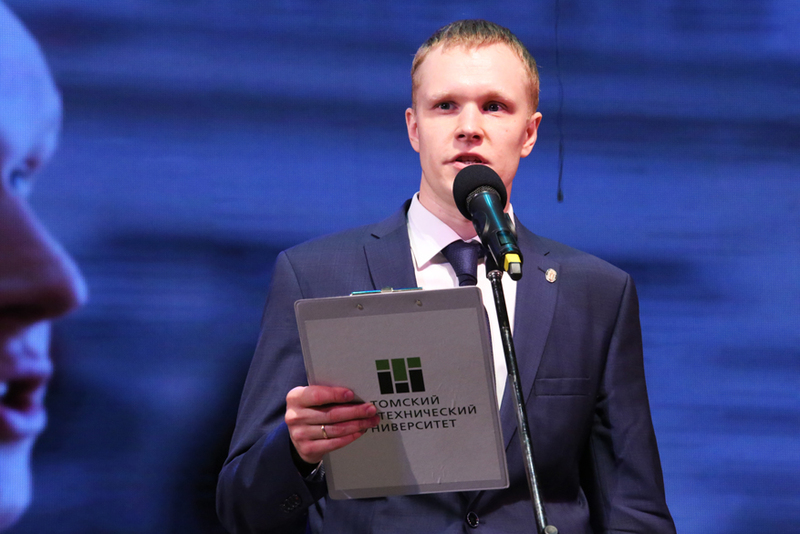 He is the winner of the Scholarship of Tomsk Oblast Governor 2016, the Filimonov Scholarship 2017, the laureate of the competition TPU Best Student 2017. For his achievements in research he received 23 diplomas at All-Russia and international conferences and olympiads, he is the author of two publications indexed by Web of Science. The international student plans to pursue master studies at TPU. 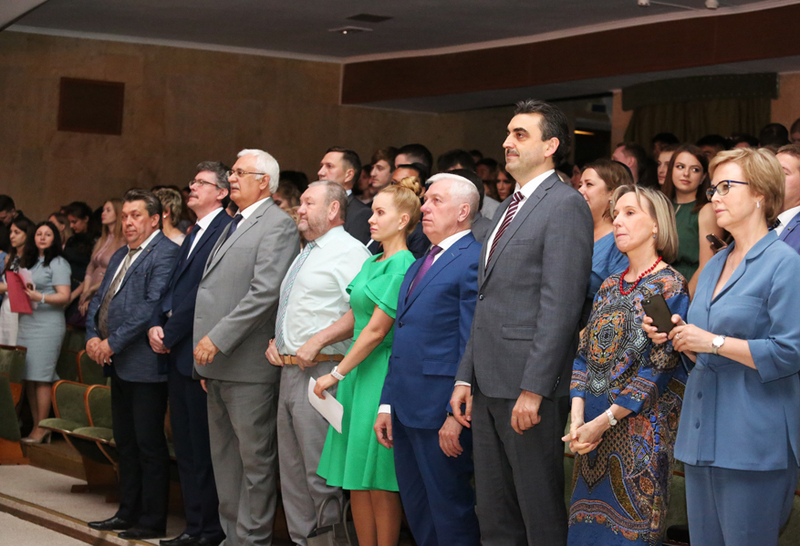 Tomsk honor graduates were also congratulated by the rectors of eight universities and representatives of large employers of the city and the region. ‘You are ushering in an independent adult life, and this life is the most complicated problem which nobody has solved without mistakes yet. To make as less as possible mistakes you need to choose priorities which include your profession, your parents, your family and your friends. All of them should be a single whole. Dare, you will succeed!’ addressed TPU Rector Petr Chubik to graduating students in his commencement speech.